Life is a journey and so is my yoga practice. I was introduced to Yoga in the late 90's by a dear friend that had just started herself. After my first class I was captivated and so my journey began, exploring many different styles, including Jivamukti, Bikram, Yin and Ilyenger. Since then the list has grown and is increasing to this day. The more classes and workshops I attended the more my desire to teach increased. In 2010 I completed my 200 hour Power Yoga Training and commenced full time as a Yoga teacher and Life coach. Today my yoga practice and teachings are inspired by many wonderful yogis and yoginis. I give thanks for the many paths I have crossed in life and continue to appreciate every single day. Life is a Journey to be embraced, felt and enjoyed. I teach at a variety of centres around London and I am available for private lessons and corporate classes. Attend one of my classes or book for a private lesson. Amanda teachers at Fierce Grace Yoga - Primrose Hill ,West, and Harrow Arts Centre. All levels are welcomed. View her class schedule. Pop up classes, check here or Facebook for times and locations. Amanda teaches private lessons and corporate classes around London. Visit the Private Lessons section to learn more. No classes to be held on Bank Holidays at The Harrow Arts Centre. Get more from your yoga practice. Traditionally, yoga knowledge was always passed on from teacher to student in a one-to-one environment. While that’s not always possible today, private tuition can provide a wonderful opportunity to work in-depth on your specific needs. With each class carefully devised to address the student’s individual level and requirements, these sessions can bring deep physical and emotional benefits. These private classes will be built around your needs, the Yoga experience will be enriched with vibrant sequences and delightful hands-on assists. These sessions are designed to open both body and mind to the possibility of transformation and always conclude with a blissful relaxation bringing you back into balance for life. One-to-one or small group tuition with friends and family is a great way to kickstart a new yoga practice or to reinvigorate an existing one. 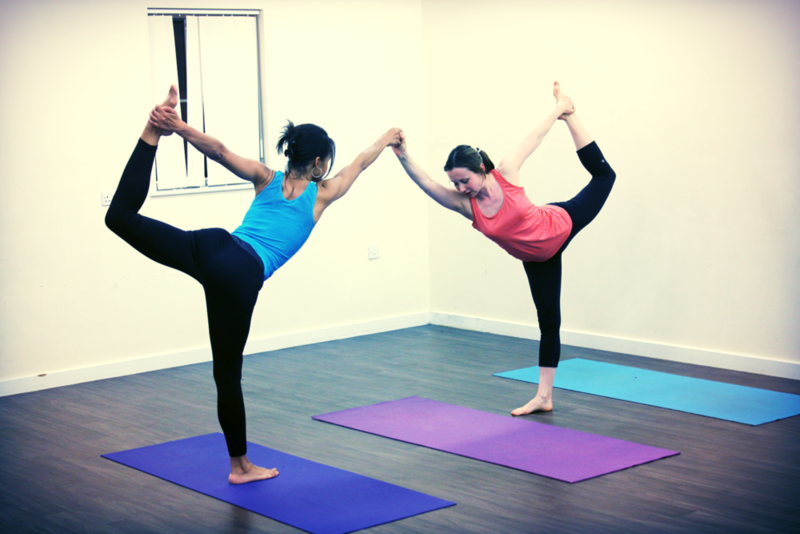 Classes are tailored to your specific requirements, whether you are an experienced yogi / yogini or complete beginner. Privates: 1 to 1 and small groups. Sessions cancelled within less then 48 hours will be charged in full. Book Amanda for a private lesson or corporate class. Thank you for e-mailing me. I will be in touch shortly. © Copyright The United Voices of the world 2015. All rights reserved.